There are movies and then there are movies, but not all movies are as good they are cracked to be, neither are all classics worth revisiting. With bollywood movies there is a thing, you can either love the movie or hate it, not many people can pretend to be indifferent towards it. Also, the box office numbers are no benchmark for what you should and shouldn’t watch. Some movies that bring in the moolah are just uncooked rice, half baked bread, moronic symphony, etc etc, you get my drift. Whereas, those who are indifferent to the moolah, actually make you sit up and clap! Sanjay Leela Bhansali’s- this is am opus by the stellar storyteller. The performance of both Amitabh Bachchan and Rani Mukherjee have been widely acclaimed, but since I am not an art and parralel cinema snob, this movie just didn’t work for me. Why-I do not understand why this movie recieved so many awards. To base a movie on such famous and well-known tale is cliche.The music score cracked me up and all that emotional drama over every gesture! The movie went completely overboard!! Melodrama, melodrama and melodrama. Rajkumar Hirani- P. K. is a comedy of ideas about a stranger in the city, who asks questions that no one has asked before. They are innocent, child-like questions, but they bring about catastrophic answers. Why- The message might be pushing the envelope, but the narrative is weak, and this is perhaps the weakest of Hirani’s films. His trademark humour is sparse; and inspite of Anushka Sharma’s spirited portrayal of a reporter who helps PK, and Khan’s over-earnest performance as the protagonist, the film is a tedious watch. Why- The movie portrays Mastani as a victim of religious bias, by the family & courtiers of Bajirao. No focus on Bajirao’s 41 battles – all victories – in a small life span of 39 years. Also, too much of it was OTT! Why- I don’t have anything against Aditya Chopra but sadly this is the most illogical film I have watched in light years. I mean how on earth can anyone not recognise their own husband?!! Just because the lead changes his style of dressing and shaves his moustache, she takes him for someone else! This is beyond me! 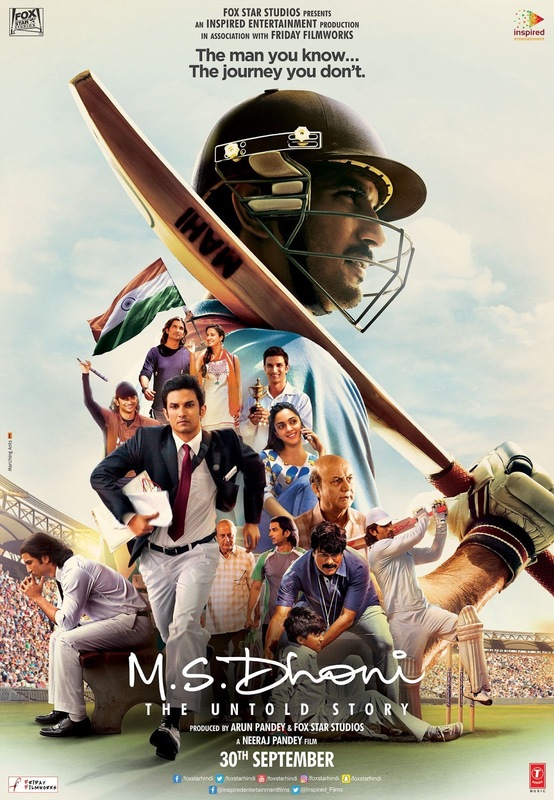 a biopic which is based on M S Dhoni, a boy from Ranchi, aspires to play cricket for India. Though he initially tries to please his father by working for the Indian Railways, he ultimately decides to chase his dreams. Why:- Too many cinematic liberties has been taken in a so-called biopic, portraying MS Dhoni as a saint who has never done anything wrong. It has just been as a movie to applaud the ex Indian captain. Nothing is untold here. .- A team of tricksters pose as CBI officers and conduct raids to rob politicians and businessmen of their black money. With the real CBI on their trail, they decide to pull off their biggest robbery. Why:- It was monotonous, slow and painfully dull to be honest, with the same scene being repeated in B/W, in slow-mo etc it reminded me of saas-bahu serials. It was repetitive, boring and not as funny as one expected it to be. – a young man with superhuman abilities, falls in love with Priya and goes to Singapore to meet her. When he discovers a shocking truth about his father’s death, he is forced to use his powers. 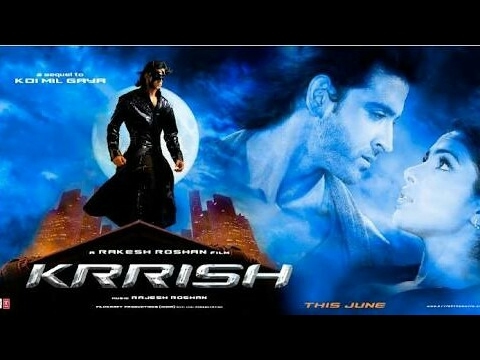 Why:- Hrithik Roshan is famous as the Indian Superhero, but one glance at movies like The Dark Knight and Guardians of the Galaxy and we would realize how far behind we are. -Sarkar is a powerful gangster who is framed for murdering an upright politician. With Sarkar imprisoned, his son Shankar steps in his shoes as leader to protect his father and their legacy. Why- Unfortunately, a great cast can’t always compensate for dodgy material. It’s not a horrible film, just not great, not even very good. The thing that Varma failed to realise is that taking five minutes to articulate a single line of dialogue and making your characters walk at a snail’s pace cannot make up for the absence of an actual screenplay. Sarkar took the suspense from the film to which it’s a tribute and turned it into ennui; consequently, it never realised its potential. Milkha Singh, an Indian athlete, overcomes many agonising obstacles in order to become a world champion, Olympian and one of India’s most iconic athletes. Why:- Melodramatic. Manipulative. Over-the-top. I know many people love the film. But I found the film so overdone that I couldn’t even bear the first 20 minutes of it. On top of everything, the film has possibly one of the most contrived endings ever. – Sahibjaan, a courtesan, falls in love with Salim Ahmed Khan, a forest ranger. They decide to elope but she gets recognized by everyone and is forced to return to the brothel. Why- A snooze fest. It boggles my mind why is the film so loved and respected. Yes, it does have arguably the greatest soundtrack ever in Hindi cinema, but as a film telling an engaging story it is a failure.